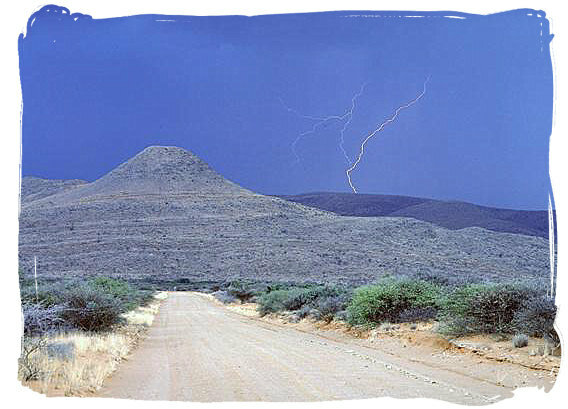 Thunderstorms are part of daily South African life, especially during the summer months. 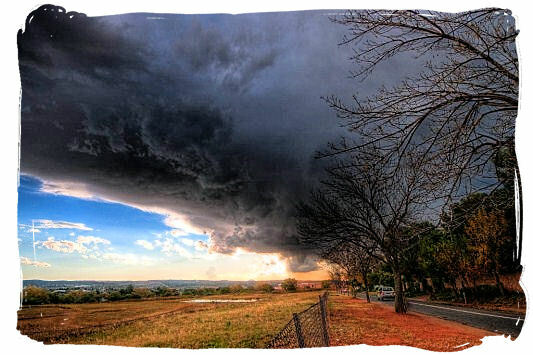 Although these storms can be hauntingly beautiful, you do not want to be caught in the middle of one. Even local drivers with plenty of experience will find the wet conditions extremely challenging and hazardous. Most road surfaces are susceptible to gathering pools of water, which creates a potential death trap in reduced visibility. Accidents and breakdown numbers greatly increase during these wet periods, and the excess moisture can easily cause electrical problems and engine seizures, especially in older vehicles. If you absolutely have to drive in these conditions, you have a much better chance of staying safe if you are prepared. Luckily there are a number of steps you can take to reduce your chances of causing an accident or breaking down. Ask yourself if the journey is essential, or can it be delayed until the rain has subsided. Listen to local news updates for road closures and flooding forecasts. Plan your journey in advance, and plot routes that are less prone to flooding. Also, inform friends or family of your intended route, along with your expected arrival time. In a country prone to thunderstorms, check your windscreen wipers regularly. Always carry a mobile phone with you, in case you need to get hold of someone in an emergency. Many incidents are caused by people driving through deep or flowing pools of water. This can result in either complete engine failure, or worse, being swept away by the current. Through stagnant water, take it easy, and extremely slowly. Driving too fast could lead to your tyres losing contact with the tarmac. Ease off the accelerator, and whatever you do, do not slam on the brakes. In fact, the best advice is to avoid pools of water all together, especially if it's flowing or if you are unsure of the depth. The edge of the kerb should be a very good indicator. If you do drive on, drive on the highest section of the road. Remember, drive slowly so as to not create a wave, and make sure that the way is clear, so that you do not need to stop. Once through, test your brakes. If your engine cuts out, do not try to restart it, as it may cause irreversible damage. Rather wait for assistance. Use your dipped headlights so that you do not mask or blind other drivers. The glare in heavy rain can be exceptionally dazzling. Reduce your speed and increase the following distance between you and the car in front of you. Be considerate, and try to avoid spraying other cars and pedestrians as far as possible. Do not underestimate seemingly shallow pools at the side of the road. Driving through them might cause serious damage to your vehicle. Increase your visibility. It is just as important for other drivers to see you as it is for you to see them. 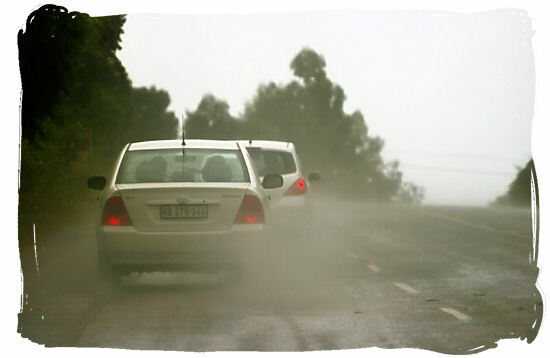 It is not uncommon for drivers to switch on their hazard lights during extreme showers with little visibility. Chances are the windows will fog up pretty quickly due to high humidity. Many modern cars are equipped with self-regulating defrosters, but alternatively, you might have to switch on the AC and direct the airflow to the defrosters. In cars without an air conditioning, you will have to crack the windows just a little bit in order to get air moving. Just in case, keep a rag or cloth handy. Take special care within the first half hour after it started raining. Grime and oily deposits do not mix well with water, and is a perfect recipe for a slippery road. Stay towards the middle lanes, since water tends to pool in the outer lanes. Always gear down as you approach a bend in the road, as this gives you more control. If you break down, wait for help, and do not try to pop the bonnet yourself. Trying to get rain-soaked electronics to start is a nearly-impossible task. Lightning fancies high objects, so if you do pull off the road, avoid parking near tall trees and telephone poles.